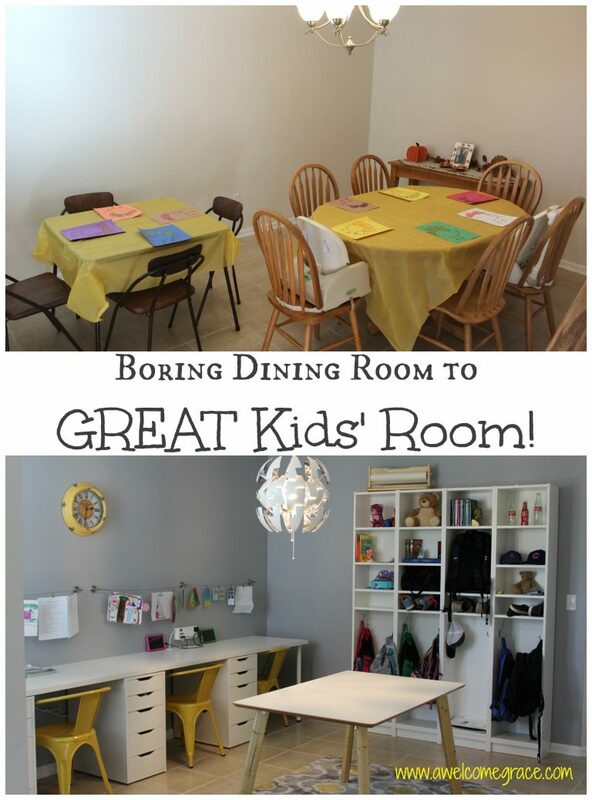 Boring Dining Room to GREAT Kids’ Room! Otherwise known as… We Finally Use that Room in Our House Now! Just FYI…this post contains affiliate links. If you buy anything after clicking through from here, I earn a few cents. Thanks! We have lived in our house for almost six and a half years now. We love it and there truly isn’t much we would change about it. 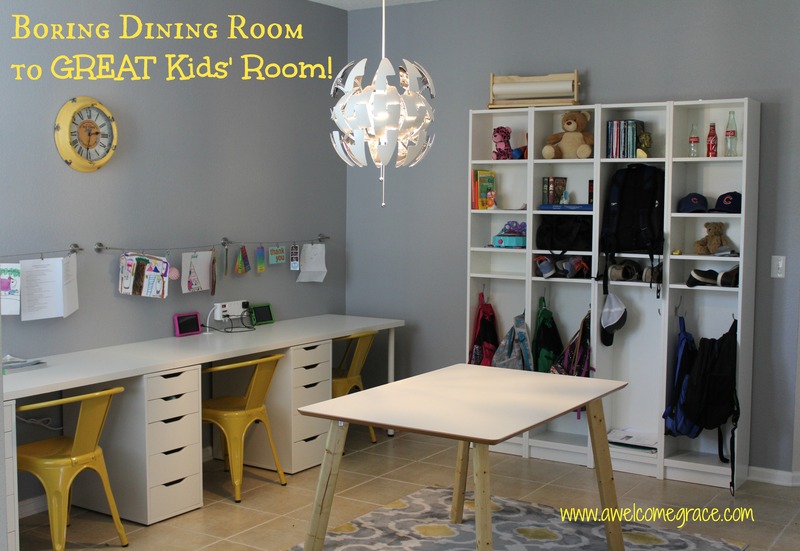 But one thing always bothered me…the dining room. We do not own dining room furniture, nor do we own fancy china. We are not a fancy family. Most of our entertaining happens on the back porch or around our ginormous kitchen table. So here sat this room, right in the front of our house that had nothing but our old dining table from one house and two apartments ago. Bland. Boring. Embarrassing. So, not only did we have this god-awful room right when you entered our house, but we also have four kids who are in school. No, we don’t homeschool. Yes, they have TONS of school stuff that comes home. Think of all the backpacks, the shoes, projects, all the homework, all the dance bags, marching band stuff, swim team gear. All the giant tri-fold posters, the masterpieces that come home from art class, and the shoes. And with two little girls, all the crayons, markers, glitter glue, colored pencils, coloring books. Oh, and did I mention the shoes? We were tired of having all of that capital-S STUFF all over our kitchen, our family room, and our nice desk in the grown-ups’ office. Especially when we had this perfectly good room sitting there virtually empty. We had big dreams and a smallish budget. Enter IKEA and Amazon to the rescue! We (and by “we” I mean Greg and the boys) built four Billy bookcases from IKEA. Then the strapped them together on the backsides with some hardware from Lowe’s and somehow braced them to the wall. Don’t ask me technical questions. I was only the designer, not the manual labor. Then we added two of these hooks to the bottom halves of each bookshelf. 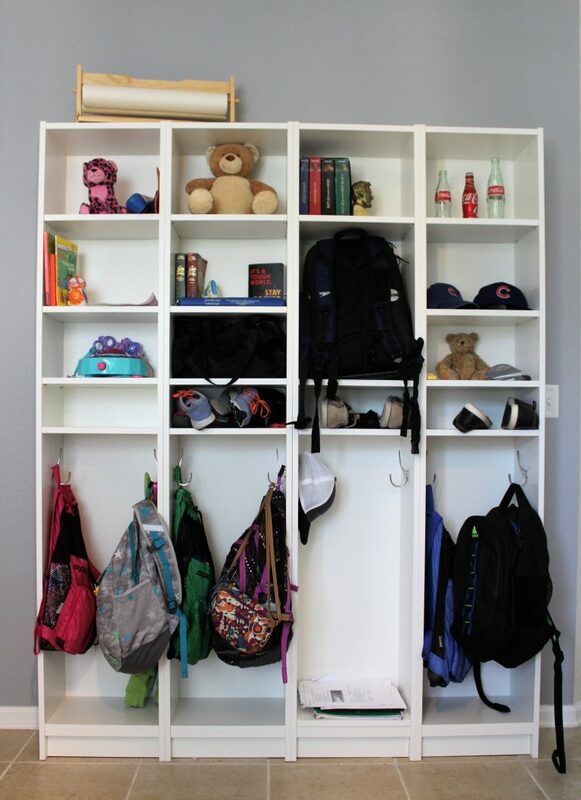 That gave each kid a spot for a backpack, a jacket, their swim bag, and a place to hang a towel after swimming this summer. They are strong and sturdy and working our beautifully! Next came the desks. You’ll see in the full picture below that we have one wall almost completely lined with desk space. This gives each of the four kids a spot of their own. Again, we went with some IKEA goods. We grabbed two of the longest Linnmon table tops and four of the cheapest legs we could find. Spacing it out the way we wanted required three drawer systems to divide into four cubbies for the chairs. Once again, Greg used some hardware to strap it all together on the backside, connecting the two tabletops and then strapping them where they met over the middle drawer system. He drilled through the table top to make room for the cord of these great power strips that have USB adapters built right in. 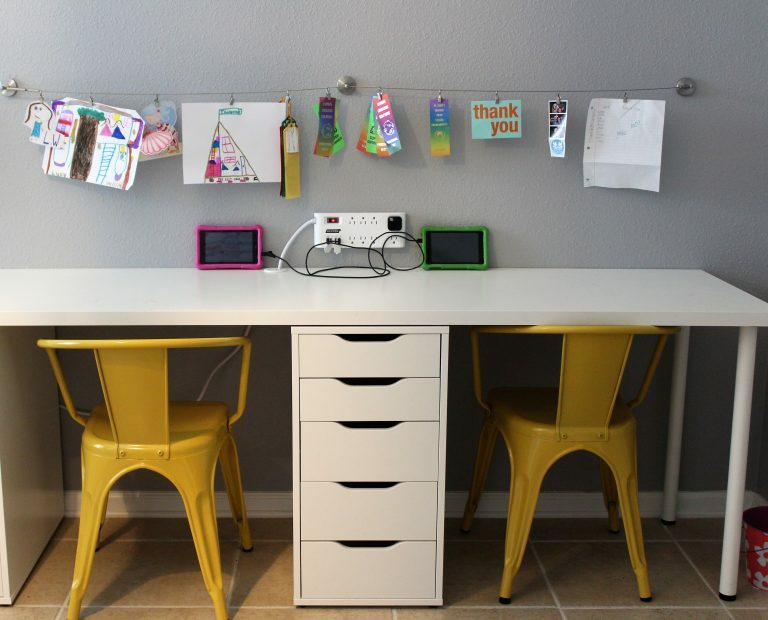 That way, the kids can plug in their kindles, they boys can charge their phones, and Adam has a spot to power his laptop. I’d give you a link for the super fun fishing-line-inspired picture hangers there, but those you just have to find in your local IKEA. I had no luck finding them on IKEA’s rather hard to navigate website. OH! And those fabulous chairs came from Target, of all places! We got a great deal on them thanks to using some online coupons and the sale that was going on at the time. I think I only paid $90 for all four of them. Score! 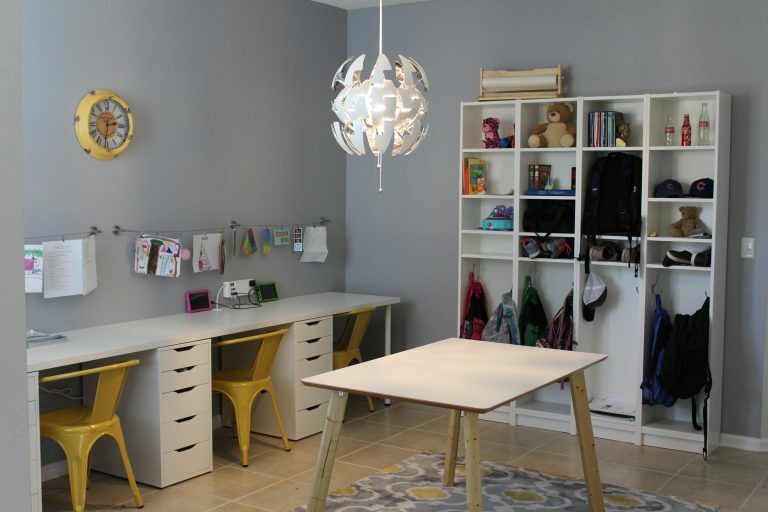 The overhead light that my children like to call the Death Star (referencing Star Wars, naturally), came from IKEA. The fabulous rug was an Amazon find (after a disaster from Wayfair). And the table, well, that was a trip in and of itself. Let’s just suffice it to say that the table top came from Overstock (I refuse to link to them after the abysmal customer service we had) and the legs were made by our very generous neighbor. On the partial wall where the stairs are, I’ve made a Command Center of sorts. Hanging files hold invitations, schedules, and the weekly menu. 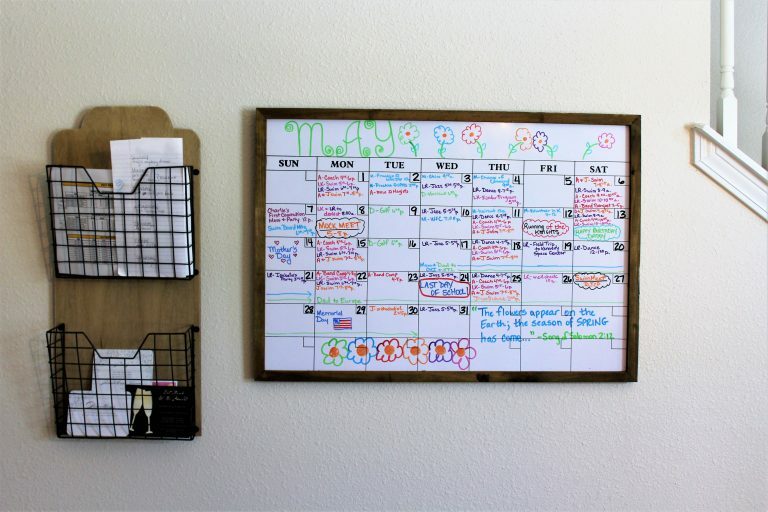 The erasable white board calendar from Hobby Lobby has a color-coded system so that each person in our family can quickly see who has what going on and when. 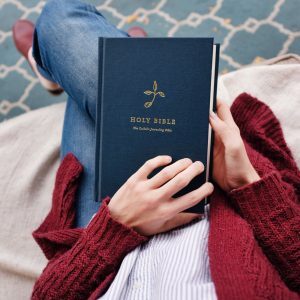 And I get to spend about 15 minutes a month coloring, decorating, finding a good monthly scripture verse and giving myself a headache as I find out just how much we have going on. So there, you go, friends! 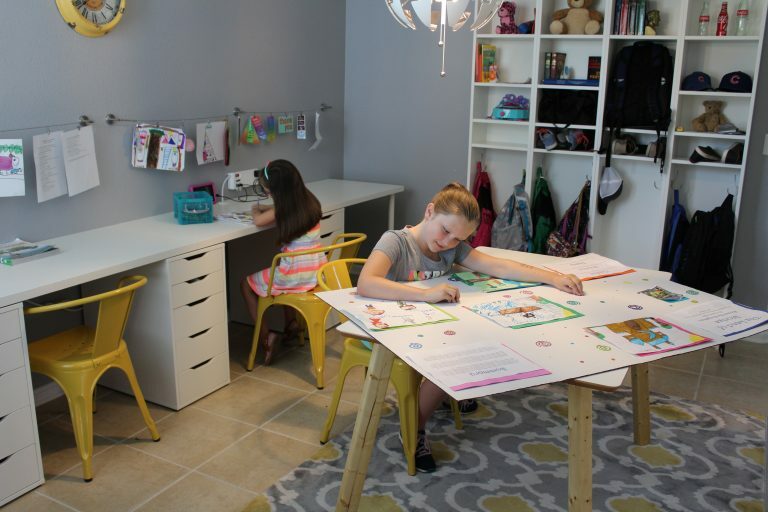 That is how we turned out boring, useless non-dining room into a vibrant, useful workroom for our kids and all their crap…er, I mean…all their wonderful treasures. Now, how about you? 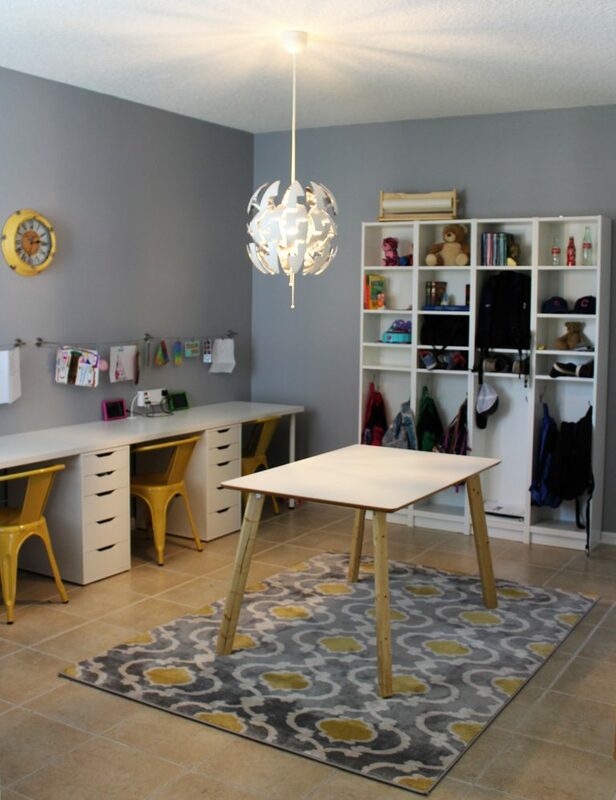 Do you have a room in your house that could use an overhaul? Which room? What need does your family have, space-wise? Leave a comment and let me know! 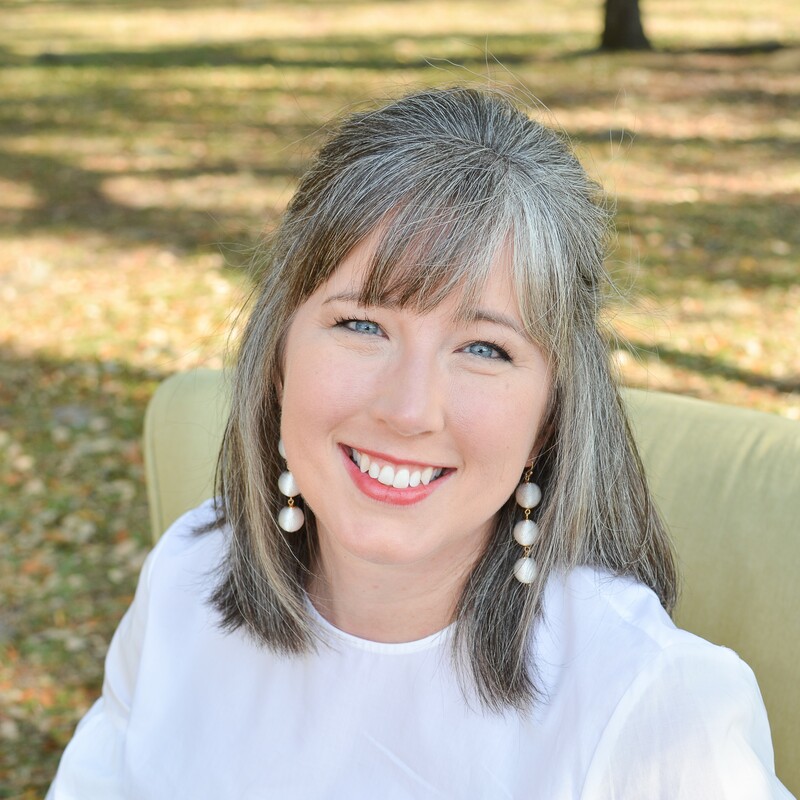 So Many Mamas to Love!